We are always available to answer any question. Please click Contact Us to learn how Frank R. Bell Funeral Home can help you. Our phones are covered 24 hours a day, 7 days a week, including weekends and holidays. To read about our commitment to providing quality care, please double click on Testimonials. The emphasis is on service. One of our ten experienced funeral directors will guide you through the process of planning a memorable service to honor your loved one. You can tour our facility by clicking here. 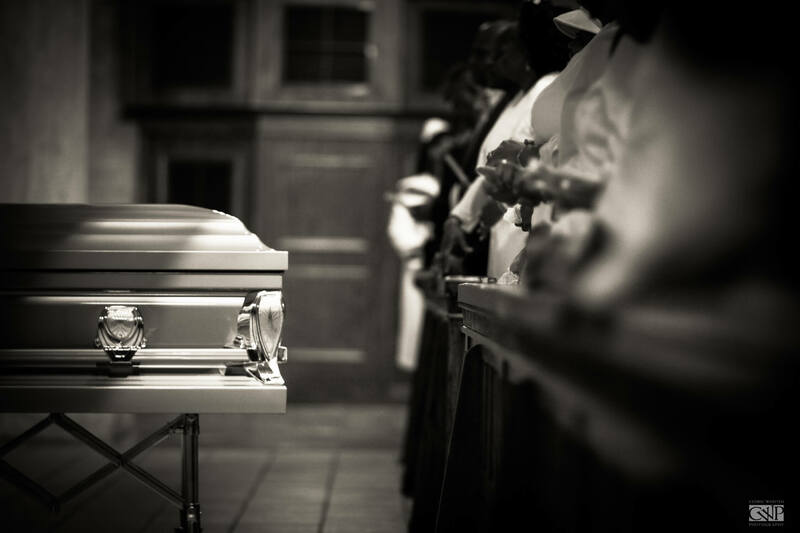 Frank R. Bell Funeral Home encourages both traditional and non-traditional services. To meet the Frank R. Bell staff go to the About Us page. On the drop-down menu, click on Executive Board/Funeral Directors. We are available to assist you 24 hours a day. 2) memorial service (cremation and service without viewing); and 3) direct cremation (no public viewing, no services). If you would like detailed information on each of these, please click on Contact Us to speak with a licensed funeral director. Our universal outreach provides transportation for the deceased to be shipped, not only within the United States, but also worldwide, including such places as: South America, the Caribbean, all parts of Africa, Europe, Asia, Australia and Antarctica. There are no locations in the world to which we won’t go. For more than fifty years, our funeral home has taken pride in our exceptional embalming and preparation of those within our care. Great emphasis on a natural appearance. Families appreciate the comfort this brings. We will transfer your loved one from a local hospital, hospice or home to our establishment at any time of the day or night. Should you require our services in this instance, please do not hesitate to Contact Us. Our telephones are covered 7 days a week, 24 hours a day. We also arrange for interstate and international removals to and from our facilities. Again, we are only a phone call away should this become your need. Please do not hesitate to Contact Us as we are committed to providing the best in comfort and care. That is our promise to you. Your funeral director will accompany you to the cemetery along with your officiating clergy to conduct all final services at the grave site. If clergy is not available, a Frank R. Bell funeral director will oversee the final graveside service. Under these circumstances, the deceased is taken directly to the cemetery and buried. Viewing and services are not a part of this type of arrangement. This is an opportunity to plan one’s funeral service ahead of time, thereby allowing and insuring that all wishes, desires and best interests are carried out in a professional specified manner. Please click Pre-Arrangements for more information. If you are interested in obtaining a pre-planning form, please click pre-planning form to download and complete the necessary steps to begin conversations with a licensed funeral director. For your convenience, you can also complete and submit this form electronically. If you choose to print and mail the pre-planning form, our address is : Frank R. Bell Funeral Home, 536 Sterling Place, New York, New York 11238, ATTENTION: Pre-Planning Coordinator. We ask that you please allow at least one week before a follow-up call is received. This allows an individual or family to pre-pay their funeral expenses by having funds put into an interest-bearing money market account. For Social Security (SSI) and Medicaid applicants, we also arrange irrevocable trust accounts for protection of your assets. We have a newly-designed casket selection room on our premises housing twenty-two units from which to choose. We also show sixteen urns and other cremation products from which you can select from our in-house display room. Our Funeral directors can also help with custom casket and urn selections. For those who prefer entombment in a mausoleum versus burial or cremation, we offer a wide range of suggestions and services. We also offer a variety of quality services which include but are not limited to: prayer cards, nameplates, programs,clergy, musicians, hearses, limousines and horse driven carriages, newspaper notices, videographer, photographers, monuments (i.e. headstones and grave plaques) and flowers. We will arrange for the burial of an honorably discharged veteran or person inactive military duty in a national cemetery. In most cases, we will be able to arrange for an honor guard as part of the burial ceremony. We will also provide the family with information concerning eligibility for benefits.